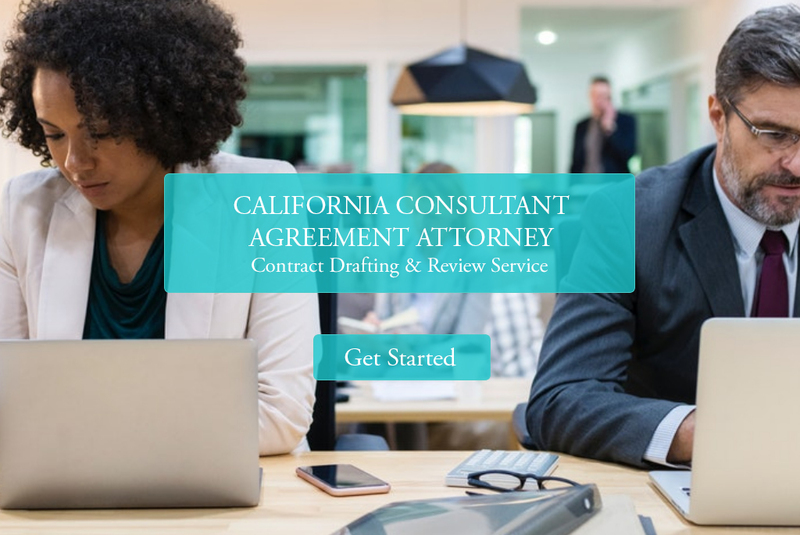 As a business consultant or owner, creating a California consultant agreement will help ensure your legal interest are protected. A consultant agreement outlines all the terms and conditions of a business engagement in which the consultant provides the client with clearly defined services. Always consult with a California consultant agreement attorney before signing. You should always use a consultant agreement if you are hiring an outside expert to consult with your business or providing your professional expertise to a company on a temporary basis. At San Diego Esquire, we provide flat fee consultant agreement drafting services. We charge a flat fee of $595 to draft a consultant agreement. . Sign up to get started. Review our 100% money back guarantee. The Statement of Work (SOW) defines the services the consultant is responsible for and usually includes milestones and deliverables. The SOW should not include any terms or conditions but strictly address the work to be performed in accordance with the agreement. In regards to the agreement (terms and conditions), pay close attention to the payment terms. Most California consultant agreements are specific as to the fees the consultant will be paid for services rendered. It is not uncommon however for many consultant agreements to not clearly define when payment is due. If the client wants to review and approve your work before paying an invoice, make sure you include language specifying when the review must be completed by. In addition, include a provision that you have a right to stop working if payment is not issued within the specified time. Carefully review the assignment of work product language in the agreement. The work the Consultant creates for the Client should become their property only after payment is received by the Consultant. Depending on the contract value and the nature of the work being performed, the consultant may be required to carry errors and omissions insurance. Review the insurance language in the agreement and make sure the amount of coverage is reasonable. Noncompete clauses in the agreement should specify the companies the consultant cannot work for in lieu of broad applicability. The non-solicitation clause should also be limited in scope and only apply to customers and employees the consultant actually dealt with while performing work for the client. Contact SD Esquire for more information about our California consultant agreement drafting services. We can help you draft or review a consultant agreement for your business. Consultant agreement contract drafting services starting at $595.